Restoring trust. Reviving revenues. Republishing across multiple mobile devices. Recruiting and retaining talent, inside and outside of the organisation. There's a long list of challenges that digital media businesses face. What we (that's the DEN convenors Nick & Francois) would like to know is what themes you want discussed at the three meetings we're planning for the coming year. And, of course, we would also welcome suggestions and volunteers to present. 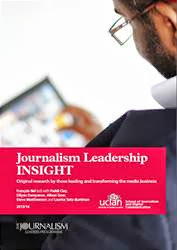 Please post your feedback here, or get in touch with Francois Nel / FPNel@uclan.ac.uk , @francoisnel or Nick Turner / nick.turner@cngroup.co.uk / @nickincumbrian.